Earn $22.48 in VIP credit (2248 points)What's This? 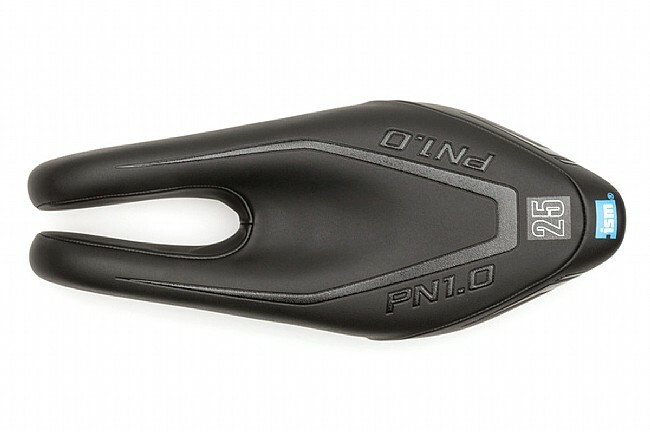 The ISM PN 1.0 takes the race-proven design of their PN 1.1 saddle and makes it sleeker and lighter for competitive road and triathlon use. The 25-series padding and gel inserts are slimmer than on the 1.1 for riders looking for every advantage, and the performance narrow shape means there's plenty of room for thigh / hamstring clearance and shifting position on the bike. 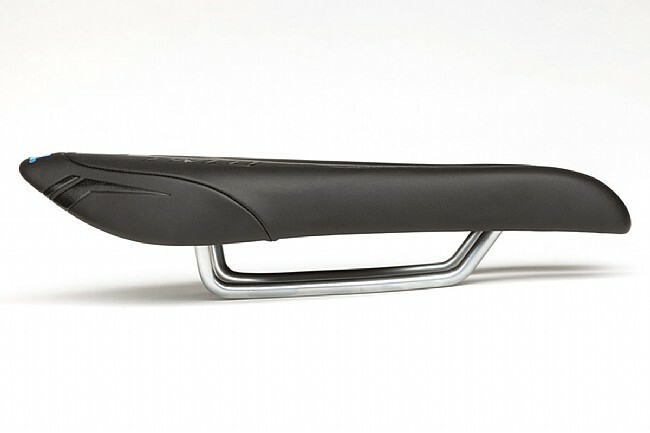 ISM's signature nose-less design is proven to reduce pressure, encourage blood flow, and prevent numbness, and by using front arms that are curved slightly downward, the hips are encouraged to roll forward for more power output and comfort on bikes with high saddle to bar drop. Ti alloy rails. 275 mm long x 110 mm wide. Available in multiple colors. Used ISM ON NCOM 208 MILE RACE LAST WEEKEND. ABLE TO STAY ON AERO BARS 90% OF TIME WITH NO PROBLEMS FROM SADDLE. RECC DIFFERENT. TRY ONE OUT. One flaw...it is so comfortable I get sleepy on my long rides. 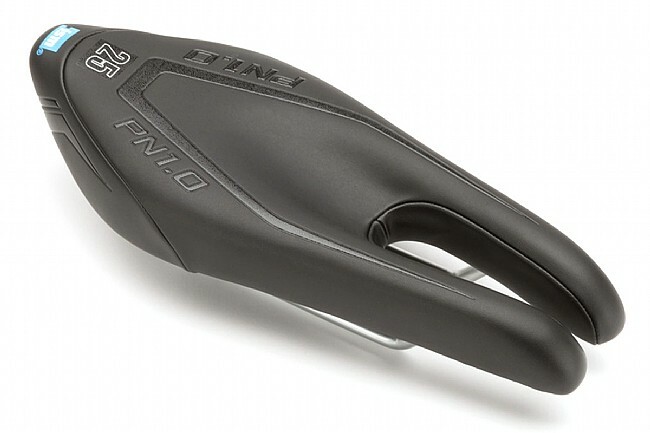 After using a few saddles I could never get a really comfortable one, which is distracting on a long ride. I tried this saddle as a last hope, and was overjoyed at the comfort. For the FIRST time, comfort is not a factor, and I can keep all my attention to other parts of the ride. I really lucked out this time.